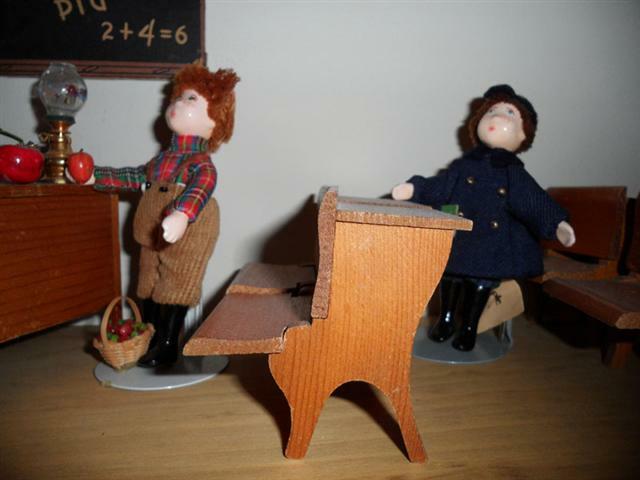 This set found on Ebay was made by Strombecker in the 1940s. 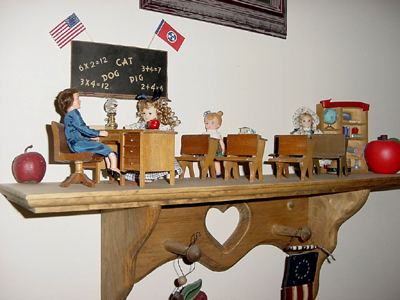 The dolls were purchased at an antique store. They are called Cecila's Small People. Being a former teacher, I love this setting! 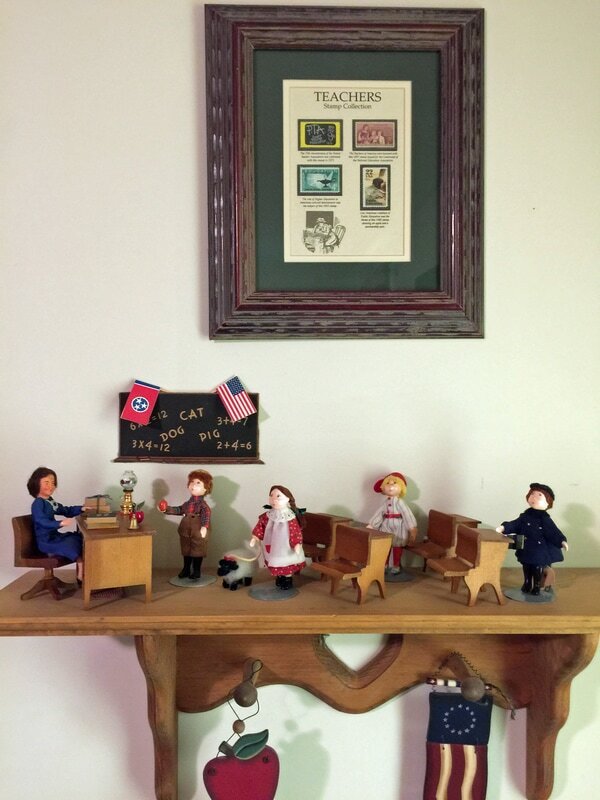 The framed stamps were on an education theme. Only three student desks are Strombecker. 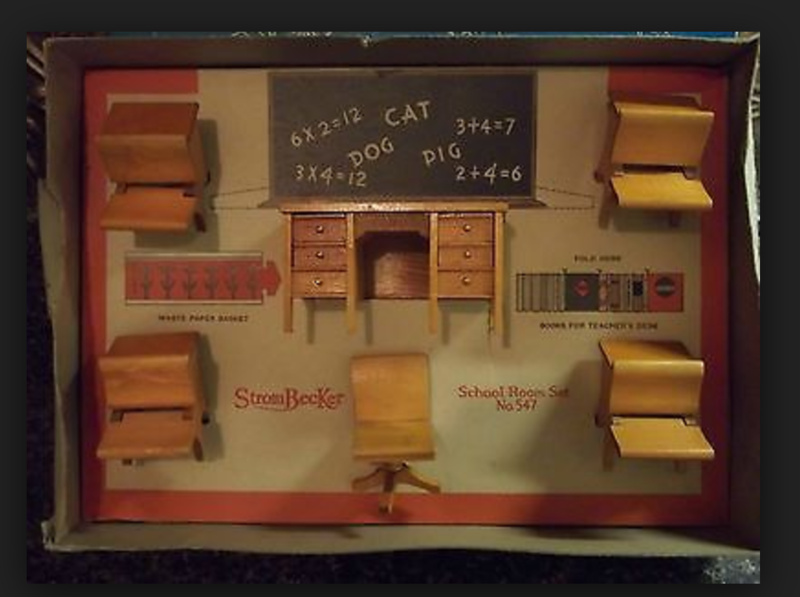 The desk, teacher chair, and chalkboard all came with the Strombecker set. There is also a floor mat, which is not in view as it is under the desk. The set part of the desks raises. 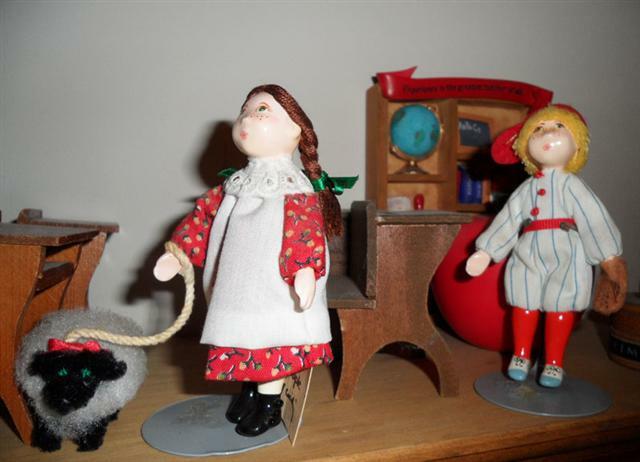 I've never seen these dolls before and cannot find anything out about them online. 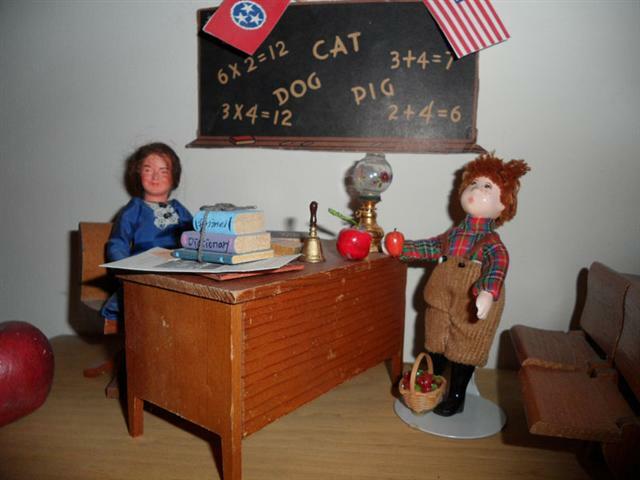 The desk behind Little Bo Peep, is not a Strombecker. 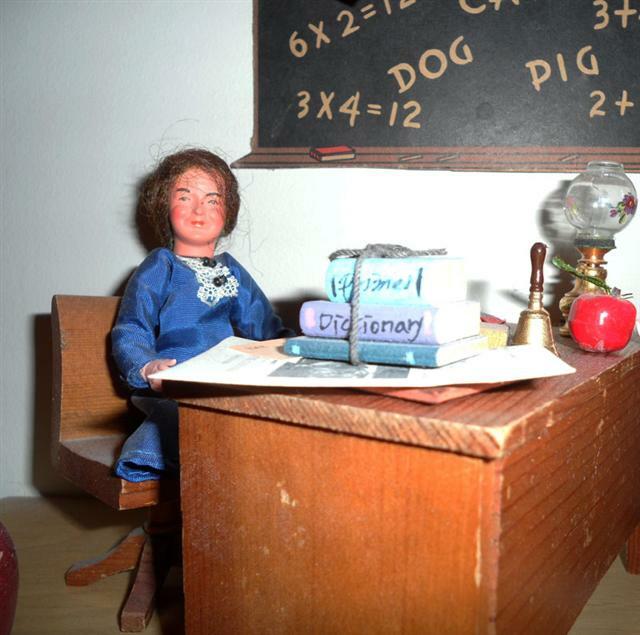 The teacher doll, which appropriately looks frazzled, is a Caco doll. A photo of a set in the original box.